When an elderly local woman is found poisoned, Sheriff Walt Longmire begins an investigation that soon has him ensnared in a deadly spider's web. 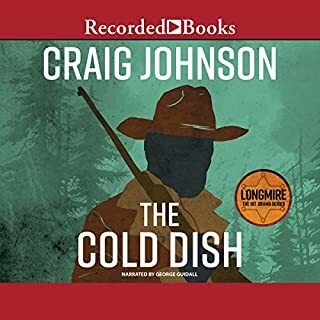 From Craig Johnson, author of the acclaimed novel The Cold Dish, comes this enthralling Sheriff Longmire mystery. With a distinctive literary flair, Johnson leads us into the wide open space of Absaroka County, Wyoming. 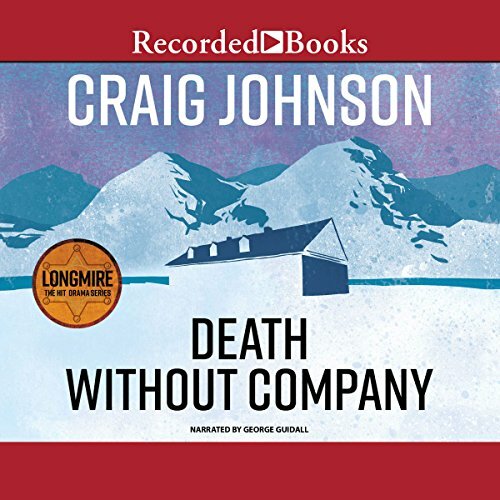 Listen to all of Craig Johnson's Walt Longmire mysteries. On the face of it, the book didn't seem like my kind of mystery. Sherrif in Wyoming? Sounded a bit like a Tony Hillerman book. Tony Hillerman's books are good, don't get me wrong, but this book is really special. The characters are human and very real, not stereotypes, the plot unfolds naturally, the dialog is right on. Nice, dry humor (just my style). And there is a real, plausible mystery at the heart of the story. George Guidall, the narrator, reads everything with just the right touch of irony. I can't recommend this book enough. Waaaaaaay better than the first book! STORY - This second book is much more interesting and faster-paced than the first book. It has the same beautiful imagery of the frozen Wyoming wilderness, the same touches of Indian culture and most of the same characters. Some listeners might be offended by Vick, the female deputy with the foul mouth, but I love her. She is so bold and predictable that she cracks me up! This story might easily be rated a five, but for some reason it was just not exactly up my alley enough for me to love it so I have given it a four. 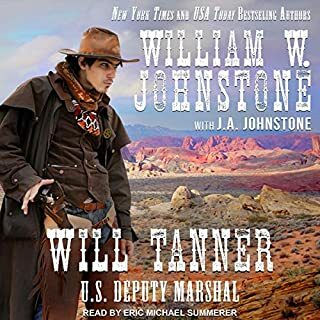 NARRATOR - Guidall does a PERFECT Wyoming sheriff character. His voice is deep, coarse and he talks somewhat slowly like you might expect from a laid-back small town sheriff. He does Indian voices and accents well, too. The only reason I can't give him a five is because of his women. They sound way too masculine. BOTTOM LINE - I would recommend this book to anyone who enjoys a good mystery, but be aware that this takes place in the wilderness of Wyoming. It is not a high-tech crime, and it is not high-tech crime solving. Walt Longmire is my hero! I love all of Johnson's characters as they are real people with real problems doing the best they can. Walt is real, but he's got style! The storyline keeps you on the edge of your seat, but comfortably on the edge. You will enjoy the ride. Guidall is the only man for the job with these characters. The other two Craig Johnson/Walt Longmire books available are awesome as well. Listen & Enjoy! Would you consider the audio edition of Death Without Company to be better than the print version? I did not read the print version so therefore, I have to assume it would be the same. I enjoy listening to George Guidall bring the characters to life. It would be a tie between Lucien and Walt. They are both trying to make sense of life. The old indian woman firing the gun at Walt when he enters the trailer. The description of the woman being beaten by her husband. Let me begin by saying I'm a great fan of the Walt Longmire mysteries. He's an excellent character; though I believe the ancillary characters are actually better. Henry and Vic stand out as the best of those. Now that one thing I brought up in the title; Walt's too much of a hot dog. 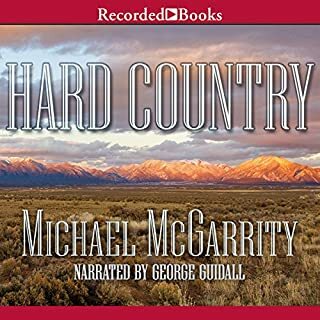 This is my third book and in each of them Sheriff Longmire has at some point refused to delegate and has taken on some dangerous job by himself instead of calling for back up or engaging a subordinate. If this continues it's going to become so formulaic that it becomes a cliche and I don't want to see this series spoiled that way. In this particular book he decides to send Henry and Dog back to the hospital with an old woman while Walt waits for a killer with one functioning eye. Before that he'd chased the same killer through snowdrifts onto an icy creek instead of calling for help. Someone should tell the author that the sheriff doesn't have to be the hero every time. I'll skip the review of the plot; there are already enough reviews concerning the plot of this work I'll let those stand; this is just a point that I felt needed making. Would you listen to Death Without Company again? Why? Yes. Story characters very real and interesting. Mixture of humor and Indian (oops, Native American) beliefs entertaining and appealing. Only removed one star because I need to keep buying more books to listen to more of these wonderful stories. Plot flowed very well. 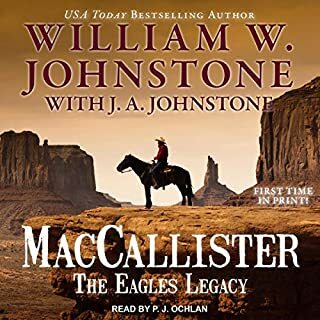 Mr. Johnson's ability to create exciting characters who are very different yet work well together I believe added to the plot.The story did not stall, my interest was strong throught the book. Actually I wished it had not ended. 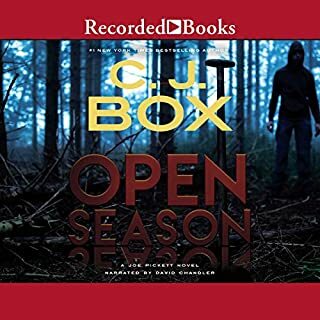 I read the first book in this series, The Cold Dish, and could not wait to hear more of the story, so I immediately bought Death Without Company. Neither story is a disappointment. Both are books you cannot set down, and yes, kept me on edge of seat waiting for...who did what? George Guidall is my favorite narrator (but others are good too). Mr. Guidall brings the characters alive. Characters voice remain the same in this second book from the first. What I especially enjoyed after a time was Mr. Guidal's slower speach used for the Sheriff and Bear. This seemed to exemplify the layed back nature of these folks, how they think and take their time, but initially this slow speech annoyed me. Later, use of the different cadence really added to the story, especially in dramatic exciting or humours spots. Don't know how Mr Guidall could have read some of the funnier parts without laughing...must have taken a number of takes to complete. This series has now become my favorite. I highly recommend these 2 books (I have not read others yet). These stories have prompted me to do some research into Indian lore, customs, and beliefs. While others may not want to do this, these well written books have had a great impact on me. Besides wishing I was of Native American origin, I do want to visit Wyoming .Finally, the humor is this book is outstanding. I could not stop laughing when the hospital staff went to sheriff office. There is more humor, and sadness mixed with hope. A very real enjoyable book..."Yes, it is so , (Johnson, 2007)." No. There are now so many books in the series that I would like to read all of them before I start re-reading. The readers who love this series, both Mr. Johnson and Mr. Guidall, are all correct. The books become like old friends. The primary characters, Walt, Henry Standing Bear, Victoria: these people are drawn so naturally and so completely that they truly do feel like real people. 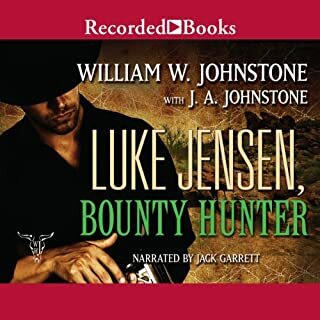 And Mr. Johnson's ability to evoke the entirety of Wyoming, truly a varied state, is remarkable, right up there with James Lee Burke's talent in describing Louisiana and Montana. Makes you want to see Wyoming, from the almost-desert like terrain to the snow-covered mountain ranges. What other book might you compare Death Without Company to and why? The series contains a lot of repetition, but there is also a lot of new material; plus, I feel that the relationship between Walt and Henry deepens as time goes on. I am starting at the beginning, and I'm looking forward to seeing the progress of the characters and the different plot lines. A friend of mine told me about George Guidall about ten years ago, and it has taken me this long to get to this series: I am glad that I am now immersed in it. George's gravelly voice is lovely to hear, and the way that he uses pauses is truly a gift. Many readers read much too quickly, and that pace often subtracts from the book. George has the confidence and mastery to make you listen, and want to hear every word, and every silence. No. I do think that Walt has the capacity to love, which occasionally touches me. However, at this point it looks like he will be alone for a very long time. This technique gets used a lot, and, I suppose, who can argue with success? However, couldn't he find the right woman without her being eliminated in one way or another? I'd like that, being the old romantic that I am. This is the first author I have ever read that follows one story with another so closely within the fictional time period. Most authors are either vague about the time of the event in the story, or they space the stories months or years apart. This story is only about two to three weeks after the first book. The story is very good, although it appears a pattern is emerging, the twist and turns are still pretty fresh. The story covers half a century, so there is lots of depth.